Each month at FSO we build a new business from Scratch in 30 days – The Bizathon Challenge! 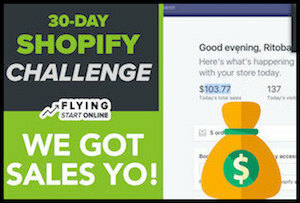 If you haven’t yet started with Shopify, you’ll want to do so right now by clicking here. Because this month we’re building a profitable Shopify store from the ground up. Today we cover steps to take after your “First Shopify Sales” come in. Within our first 24 hours of being live, we are already seeing sales! If you want to build a profitable online business and earn a passive income, Shopify is definitely the way to do it. It’s one of the easiest business models to follow and doesn’t require any coding knowledge to implement. Consistently take action as we progress through each #bizathon and you’ll be well on your way to financial freedom. Once your first sales begin to come in, you’ll need to begin actually fulfilling the orders via AliExpress drop-shipping, or in our case ZeroUp which will handle the process for us. You’ll also need to start trimming up your ad sets – scaling what’s converting, and pausing what’s not. We’ve got to be able to stay in touch with our customers, not only for ongoing service, but for continued sales. Now that MailChimp and Shopify are connected your customers will automatically be added to a customer email list. Aside from updates and order information, you can now automatically send emails to customers who abandon a cart, or looked at a certain product. People who have already bought from you are likely to purchase again with a little bit of incentive – in our case a 20% discount. Not only are you welcoming new customers into the family, you’re showing your thanks by offering an awesome discount. This will make people feel special, and like they owe you, both of which help your odds of a repeat customer. At this point, we’ve already been running Facebook ads for our initial Shopify store products for at least 24 hours. Whatever hasn’t gotten many impressions or clicks up to this point, likely won’t. In order to maximize our conversions, while conserving our budget, it’s important to pause any under performing ads. Don’t get emotionally attached, as running a successful business is a numbers game. Any ad sets that have already seen sales, we are going to leave running for now. 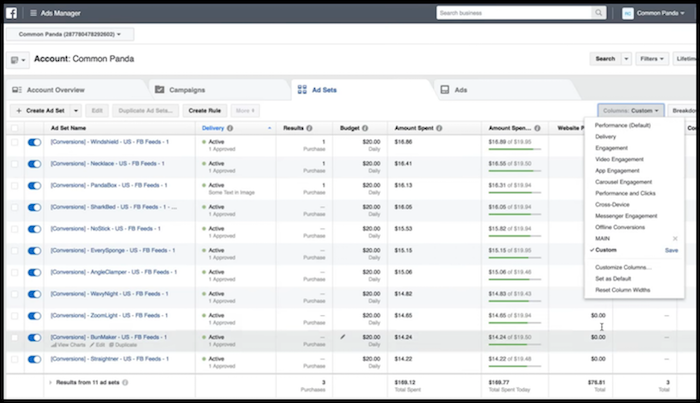 For all the other ads that haven’t sold anything yet, we are going to look at the cost per click. Anything that is several dollars per click, will be immediately paused. As for the remaining ads that haven’t converted yet, they still have a low cost per click. So we are going to allow FB to continue collecting data and let these ads run a bit longer to see if they don’t begin to convert. If you’re not yet familiar with ZeroUp, I suggest you get acquainted with this post. Now, for those who have already purchased and installed ZeroUp, we like to fulfill orders using their Chrome Extension which comes with the software. You may be prompted to login to AliExpress if you have not already. Once logged in to AliExpress, ZeroUp literally places the product order. Boom! You literally just drop-shipped your first order. Take advantage of the technology that’s available to you in order to make like easier and your business as profitable as possible. That’s a wrap for Day 10 – Great work! Questions, comments or just want to say hi? We love hearing from you below. If you’re not kept in the loop via our #Bizathon list be sure to sign up today. P.P.S. Click here for Day 11!